feel amazing and give back! Reserve your classes at discounted rates for the WELLness Pop Up weekend and proceeds go to AAMC oncology and community outreach programs. Feel great, get fit and give back! You can also sign up ala carte. Classes are booked on a first come first serve basis. Since there is limited room at the shop, the max class size is listed. Book A.S.A.P before you forget and classes are sold out. Available times are 9:30 am, 9:50 am, 10:10 am, 10:30 am, 10:50 am, 11:10 am, or 11:30 am.Cranial sacral therapy is a gentle, noninvasive form of bodywork that addresses the bones of the head, spinal column and sacrum. The goal is to release compression in those areas which alleviates stress and pain.Cranial sacral therapy can decrease stress from chronic injuries as well as provide relief from migraine headaches, neck and back pain, temporomandibular joint disorder (the inflammation of the joint that connects the lower jaw to the skull) and more. 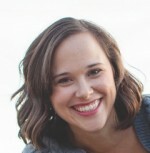 Heather is a certified massage therapist and holds a degree in Therapeutic Massage. She has the completed the 100 hour course in Dynamic Body Balancing under the direction of Dr. Carol Phillips. This style is sometimes also called flow yoga, because of the smooth way that the poses run together and become like a dance. The breath acts as an anchor to the movement as you to flow from one pose to the next in time with an inhale or an exhale. Sue is a certified Bikram yoga instructor who began practicing in the summer of 2006 to maintain her health and flexibility and to help with neck pain associated with a major automobile accident. After years of running, Sue found it difficult to find a form of exercise that was enjoyable, provided weight loss and other benefits, and was safe and comfortable following injury. She completed the 500 hour Bikram Yoga training in Hawaii in the spring of 2007 and continues to further her education. 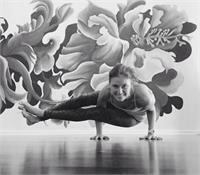 She completed her 200 hour Vinyasa teacher training program at CorePower Yoga in Washington, DC. Sue is always studying yoga and taking classes to continue the yogic lifestyle that she loves. She feels that yoga practice, meditation and spirituality, and proper nutrition all form part of the same healthy mind and body lifestyle. A series of 26 asanas (postures) and 2 breathing exercises designed in a specific sequence to detoxify the body and promote over all health and wellness, mentally and physically. Essential oils will also be incorporated during the class. Kate Bellotte has been practicing Bikram yoga for 7 years and teaching for 5. She went to Bikram teacher training in LA 2011. Kate loves talking and teaching yoga and helping others. Besides being a wife and mom to 2 lively boys, Cooper (3 years) and Wyatt (18 months), enjoys being outdoors at the beach, clean eating, and making homemade products with essential oils. A mom of a fifteen-year-old girl contacted Suzanne online and said… “I found you from looking into makeup classes for teens. I saw a ton of people who can do that, but your makeup just looked so clean. I don’t want my daughter to look too made up, just enhanced!” Suzanne was really flattered and it got her thinking about what a gift it would be for preteens and teenagers to learn how to care for their skin properly and wouldn’t it be great if they learned how to apply makeup in a tasteful and fun way without teaching themselves bad habits. As a former teacher, Suzanne thought it was the perfect opportunity to start a new lesson program called #themakeupteacher. Her focus for this program is to teach preteens, teenagers, and adults proper skincare and gorgeous makeup that will accentuate their natural beauty instead of transforming or detracting from it. Suzanne offers professional tips in an accessible and fun way so that all age levels can follow along. No need to sign up for this, just pop on by to share some cheer, food, friendship and hugs! There will be a lipstick bar plus LIVE music from Jan Eden! In this class you will learn a brief history of the Classical Pilates Method and how it can improve your overall health and well-being. We will explore a beginner level mat workout concentrating on the fundamental movements and skills needed to maximize the benefits Pilates. We will then take the exercises learned during class and move through them for pace to feel the “internal shower” that Pilates can provide. We look forward to seeing you in class! Jennifer is a third generation instructor in the lineage of Joseph Pilates. She has been a practitioner of Pilates since 2004 and has been teaching professionally since 2005 after completing a 700 hour comprehensive teacher training program in Classical Pilates. Jennifer continued her studies with The Pilates Center in Boulder, CO (considered the “Harvard” of Pilates schools). She completed their Master’s Program in 2012 and their Bridge Program in 2013. Additionally, Jennifer is a Host Advisor for The Pilates Center, enabling her to mentor Trainees of the The Pilates Center’s teacher training program. Jenn continues to participate in classes and workshops with Master Teachers as she believes the best way to grow as a teacher is to be a student. Allie Lehnhardt is a 200hr registered yoga instructor certified through Yoga Alliance specializing in the arts of vinyasa flow and yin yoga. She is a mother of two and a military spouse of over 24 years. She began her practice in 2006 and quickly realized the physical, mental and emotional benefits that yoga offered. Allie completed her yoga training in 2013 at Balance Health Studio in Seagrove, FL and has since taught class in both a group and private setting at studios in Tampa and the U.S. Special Operations Command and her home studio (Allie Cat Yoga in South Tampa). Yoga has allowed her to develop peace, balance, strength and flexibility in all aspects of her life. Her goal in teaching is to guide students to find the quiet space within their thoughts, seek acceptance in the moment and build confidence in their practice. Allie’s classes are a great balance of building strength, finding flexibility and developing inner peace and contentment. Come join her and learn to let go…and breathe. If you’ve got your body, you’ve got a workout. Simple gets it done! After more than a decade working with clients at a large community athletic club, Beth Stewart and Louise Orders created Dauntless to continue that work in a smaller, more private setting. Here, along with a select group of highly qualified fitness and health professionals, Dauntless can fully support their clients as they pursue their personal health and fitness goals. Dauntless is a community of people committed to taking responsibility for their health and fitness. They are not fanatics; Beth and Louise know that life ebbs and flows and some days are better than others. Life is short; have fun. Dauntless is an attitude. It takes dedication to be healthy in today’s culture; to prepare our own food, to create and spend time within an actual community not just a virtual one, to get out of the chair or off the sofa and move more. At Dauntless, Beth and Louise help others find their fitness. Amy Reed is an ace-certified fitness trainer who played both varsity field hockey and lacrosse at Princeton University. After graduating, getting married, and having four children, she discovered a love for distance running and won the Zooma Annapolis 10k in 2009, placed second in her age group at the 2013 Richmond marathon (in 3:16) and qualified for the Boston marathon in 2013. 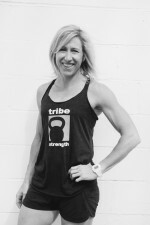 Recognizing the importance of strength training to prevent injury and to enhance her performance in her other interests, Amy began training with barbells, kettlebells and sandbags. In October of 2015, she placed first in a field of nearly 900 women in the intermediate division of the Festivus Games, a worldwide CrossFit competition. She is a big believer in the importance of strength training, and she is passionate about coaching impeccable form with intensity of effort. Curious about essential oils? Come learn about how to safely use Essential Oils to increase you and your family’s health! Each participant will be able to make three products to immediately incorporate into his/her daily life. Lauren has been using Young Living Essential Oils and sharing them with others for over a year. The oils have transformed her and her family’s overall health. As a nurse, she has an insider perspective on the state of our country’s health, which motivates her even more to educate people on living naturally! Lauren seeks out every opportunity to help people live a healthy lifestyle, promoting wellness and balance. When she is not talking about oils, you can find her caring for her three young children or practicing (and sometimes teaching) yoga. Prix-fixe private 4 course dinner (with apps and dessert) provided by Whole Health Designs Catering. Chat with best-selling cookbook author Lisa Consiglio Ryan and friends. Includes cheer, music, conversation, community, delicious food AND a WELLness gift. Bring your fitness training to the water and expand your Yoga practice in the serenity of a quiet outdoor setting. Water based classes are a great way to connect with nature while amplifying the physical and mental benefits of yoga movement. Each class covers the basics of SUP to ensure you are comfortable on the water. The group will paddle to calm waters, anchor your board and perform a yoga flow designed to maximize your connection with the outdoors. SUP boards included. Grab your family, furry friends and strollers and join Annapolis Running Shop (ARS) for a 5K. Take in the gorgeous historical Annapolis sites and get in a workout, too. Walk or run, your choice. The run ends at the WELLness Pop Up shop on 45 West Street for donuts, mimosas, coffee (yes, we aren’t into the 100% perfection thing!) plus green juices. Arrive at ARS, 172 Main Street at 8:45 at the latest. Fun Run starts promptly at 9 am. Situated in the heart of downtown Annapolis, ARS is the areas first full service running shop. ARS carries the largest selection of Maryland flag running gear in the entire state. Come in and see what the Annapolis Running Shop is all about! Look no further than Annapolis’ first running store for all your training needs. This unique workout is designed to trim, tone and transform the body with a fusion of ballet, Pilates and resistance training. Choreographed movements using the ballet barre, light weights and a glide board are set to motivating music. By blending dynamic movement with calorie blasting cardio, Vbarre targets those trouble zones such as the hips, thighs, gluts and core; delivering one powerful workout with amazing results. The result is a lean and sculpted body in minimal time. As a classically trained ballet dancer Alexis danced professionally for 10 years, dancing with such companies as the Richmond Ballet for 3 years; The Lexington Ballet for 3 years; and 4 more years in Annapolis, Maryland, finishing her career with the Ballet Theatre of Maryland in spring of 2008. 1-2 pm: Fashion Show – Free! No need to sign up! Join us at the catwalk on the Stan & Joe’s stage. I Am WELL and Beautiful Fashion Show starts 1pm. This fashion show will showcase women, men, girls and boys on the catwalk, feeling beautiful, inside and out. I AM fierce. I AM boss. I AM love. I AM enough. Items worn will be from local merchants and Athleta. Tribestrength is about training, it is NOT about ‘just working out’. Tribestrength is about setting goals, and methodically training to achieve those goals. You’ll be challenged both physically and mentally. Use tools like barbells and kettlebells and sandbags. It’s pushing and pulling and pressing and squatting. The Tribestrengh philosophy is about being constantly tested against yourself. It’s about learning to fuel for performance. It’s about never quitting on yourself or those around you. It’s about helping others get to where they want to be. In short, Tribestrength is about the journey to excellence. At the end of it all, you’ll be leaner and stronger and faster and tougher. you will see yourself in a different way. The Zen House seeks to enrich the lives of those in our community through unconditional love and compassion in order to facilitate a balance of mind, body, and spirit. The Zen House strives to provide a safe and nurturing environment for those seeking personal and spiritual healing and development utilizing a variety of approaches including Reiki, Angel Card readings, intuitive coaching, and healing workshops. Together we celebrate life and all the beauty it has to offer us. 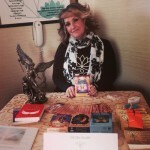 Rachael Isacson, owner, is a Reiki master and intuitive empath. 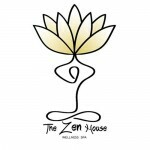 Zen House is located in Historic, Downtown Annapolis, across from the Westin Hotel. They are coming up on their second birthday and hope to continue helping the community through holistic healing for many more years! 6-7 pm Closing Ceremony and Party – Free! * Proceeds will benefit our partners at Anne Arundel Medical Center with donations to Oncology and Health Promotion & Community Outreach.